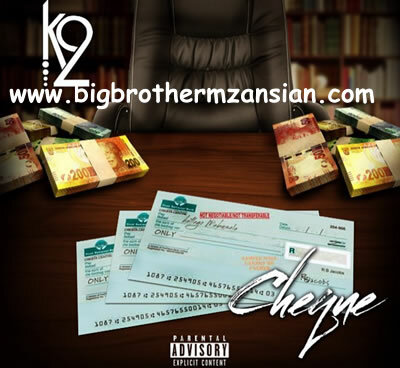 His songs have trended all over Mzansi and now former Big Brother Mzansi Season 2 housemate K2 aka Katlego Mabusela has released a new song titled 'Cheque' whose MP3 download is free and available. The reality TV star, rapper and boyfriend to model and actress Blue 'Thandi Mbombo' had just released a dope jam titled Lit a few days ago and now he's dropped 'another one' just like American star DJ Khaled normally says 'Another One'. 'Cheque' is indeed a good song and just like Lit or even K2's break through single Lepara, Cheque has rich and clean lyrics. However it would really be nice to hear from you the fans, which is your favourite song from K2? Please just take a few seconds of your time and drop your answer in the comments box below. You can get yourself a free copy of this song 'Cheque' in MP3 format by visiting this link: DOWNLOAD Cheque BY K2. And that being said, if you just want to listen to the song and not download it, you can play it here below.